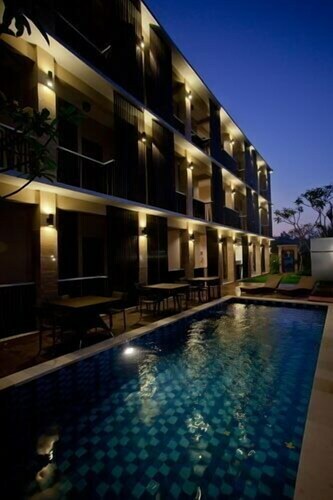 Located in Imam Bonjol, this hotel is within 3 mi (5 km) of Double Six Beach, Kuta Beach, and Legian Beach. 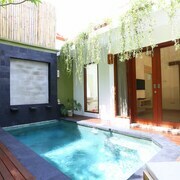 Waterbom Bali and Seminyak Square are also within 6 mi (10 km). 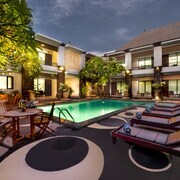 Located in Legian City-Centre, this hotel is within a 5-minute walk of Legian Beach and Kuta Beach. Beachwalk Shopping Center and Double Six Beach are also within 1 mi (2 km). 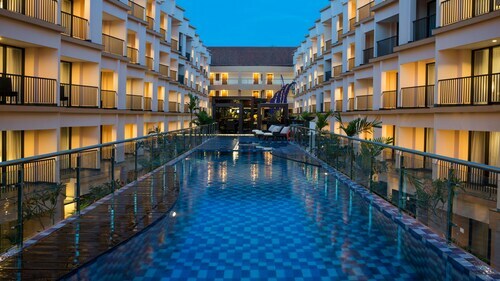 Located in the heart of Denpasar, this hotel is within 1 mi (2 km) of Sanur Night Market and Sanur Beach. 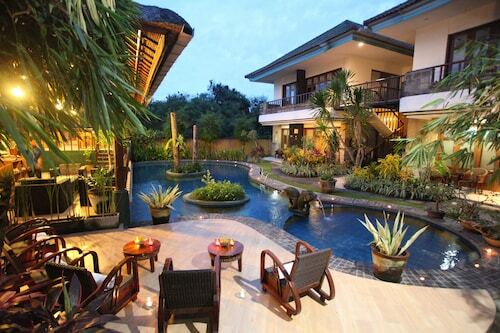 Sindhu Beach and Bali Beach Golf Course are also within 1 mi (2 km). 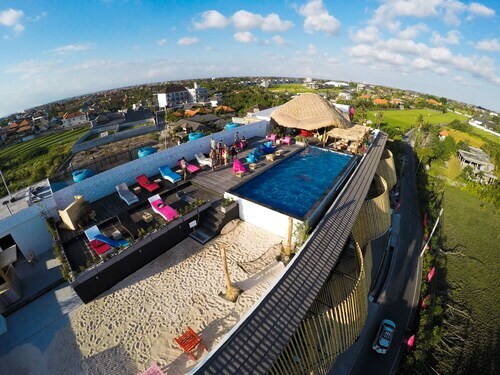 Located in Jimbaran Bay, this hotel is 1.2 mi (1.9 km) from Samasta Lifestyle Village and within 3 mi (5 km) of Jimbaran Beach and Garuda Wisnu Kencana Cultural Park. Udayana University is 1.6 mi (2.6 km) away. 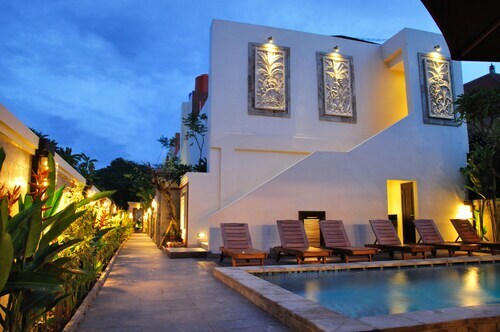 Located in Legian City-Centre, this spa hotel is within a 10-minute walk of Legian Beach and Kuta Beach. 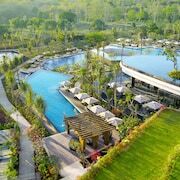 Beachwalk Shopping Center and Bali Bombing Memorial are also within 15 minutes. 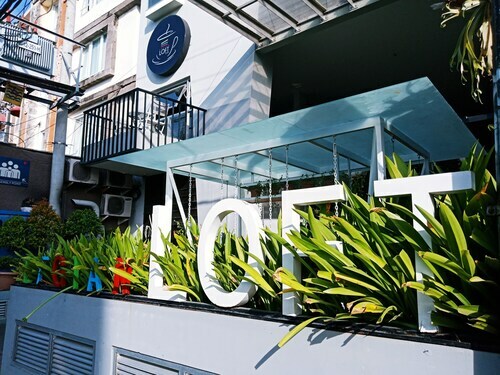 Situated near the airport, this hotel is within a 5-minute walk of Consulate Agency of France and Honorary Consulate of Chile. 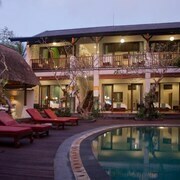 Sanur Beach and Le Mayeur Museum are also within 6 mi (10 km). 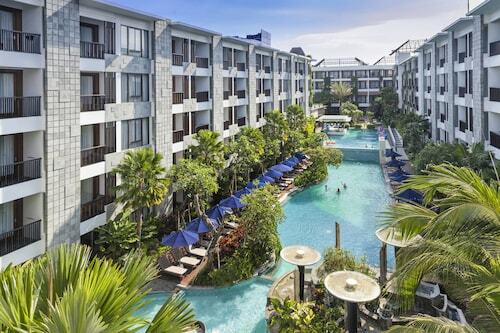 Have no fear, Wotif is here—and we can hook you up with a heap of Bali hotels with free parking. All of them are just waiting to host your vehicle on your next holiday! 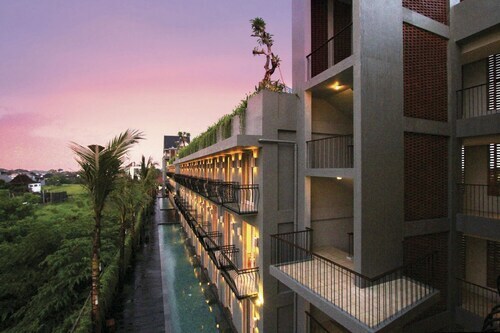 A: There are 6409 hotels with free parking in Bali. 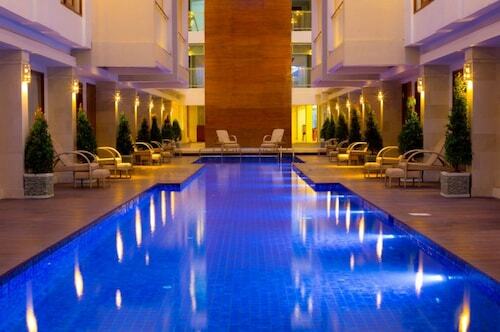 This means you can worry about more important things, like which have pools, room service or free WiFi! A: Not much! 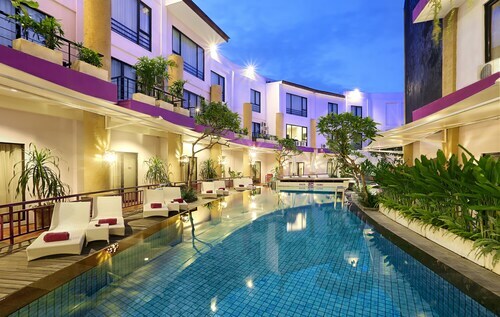 Hotel rates start as low as AU$24 per night, so you’re sure to find accommodation that has parking and won’t put too much of a dent in your wallet. 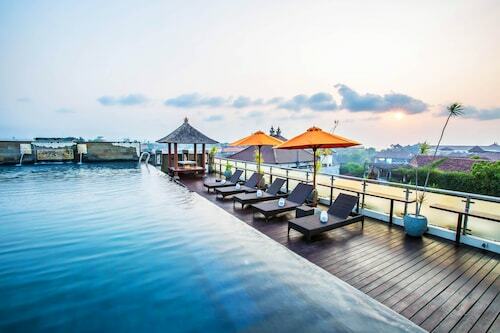 Wotif will help you score great Bali accommodation with parking, but we can also help you book the best holiday possible. 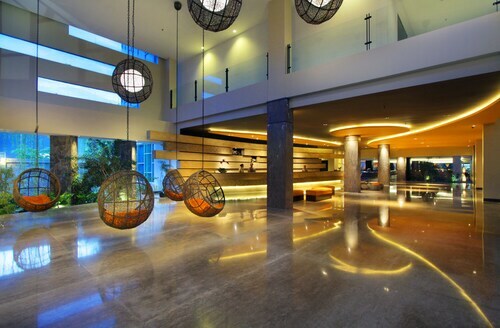 Look through 201 reviews and check out what other travellers have said about the hotels that interest you. 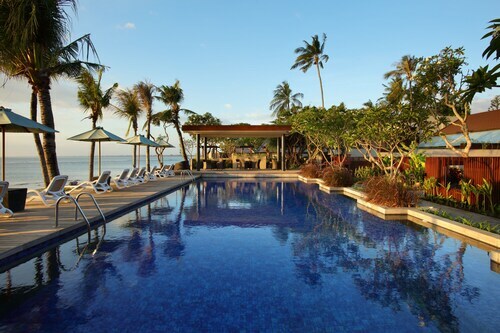 Find the right place at the right price and get your holiday underway. Bring us back a cool souvenir, will ya?